Wedding trends change from year to year and we have rounded up some of the top trends for the 2019 wedding season. 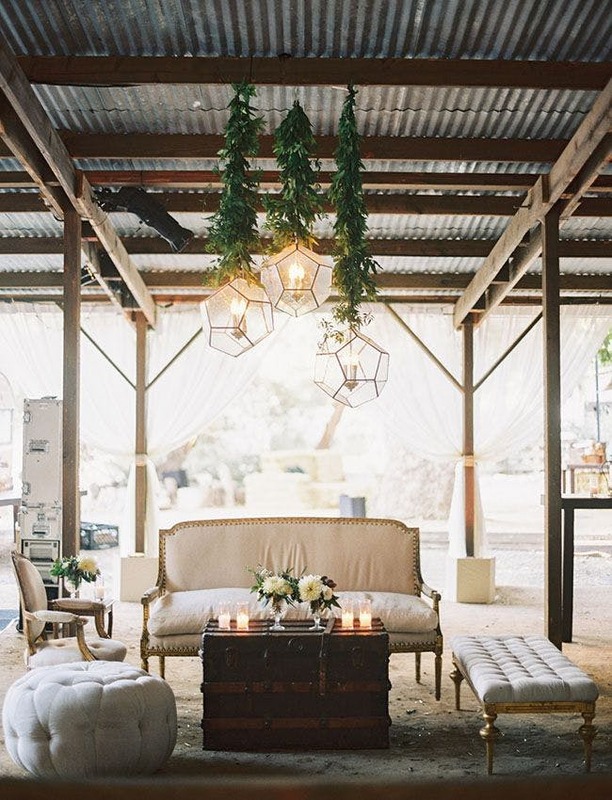 Unique lighting is one of the hottest wedding trends right now. From hanging candles to geometric chandeliers, lighting sets the scene and mood for a wedding and not to mention the whimsy that lighting brings to the occasion. Greenery everywhere! Its been slowly building up since 2014 when Eucalyptus made a huge statement as greenery swag, but now….greenery has stepped up to the plate in a huge way! Think enchanted garden. Swag chandeliers. Swag table runners. Drapery swag on the back of chairs. Candlelight is romantic. And tealights have been a popular choice forever, but trending now are long, skinny stemmed, taper candles. It’s no wonder these are making a comeback. They are so romantic and give such a luxe feel without a huge price tag! It’s a win win. The color trend floats with the seasons, but this year bold colors will be strong. Think emeralds, navys, and maroons. Outdoor weddings aren’t a new concept, but there has been a significant rise in outdoor garden weddings. 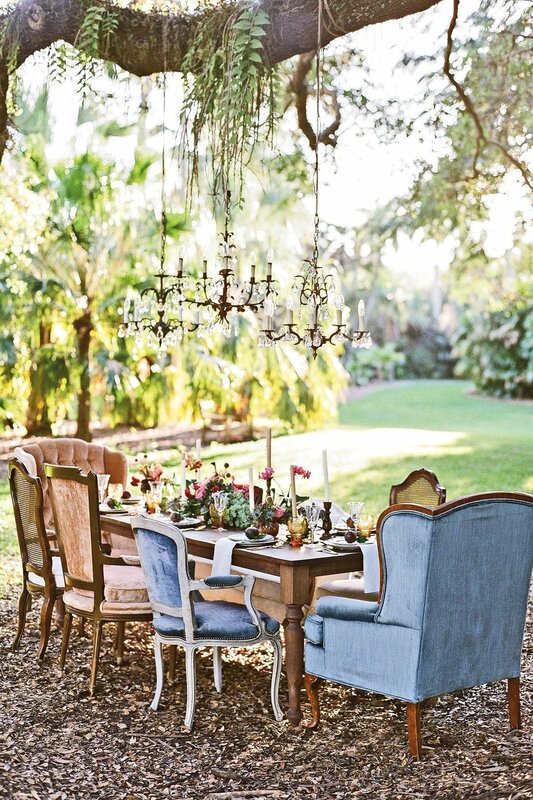 From vintage couches in the garden to woodsy elegance, it’s very British Royal garden party. This is 100% a trend that I can get behind. It’s romantic, unconventional, and overall just a flat out great idea!